Author of 'The Reputation of Booya Carthy', Phillip Drown is a writer and music enthusiast. He has worked in an independent record shop for more than ten years (and occasionally still does). I’m standing in the deeper dark. In the shadows. Waiting for my man. The smoke from my cigarette drifts beneath the single light at the far corner of the cottage. I watch as it filters through the mist. It won’t give me away; my man is no professional. When he comes, he won’t know that I’m here. 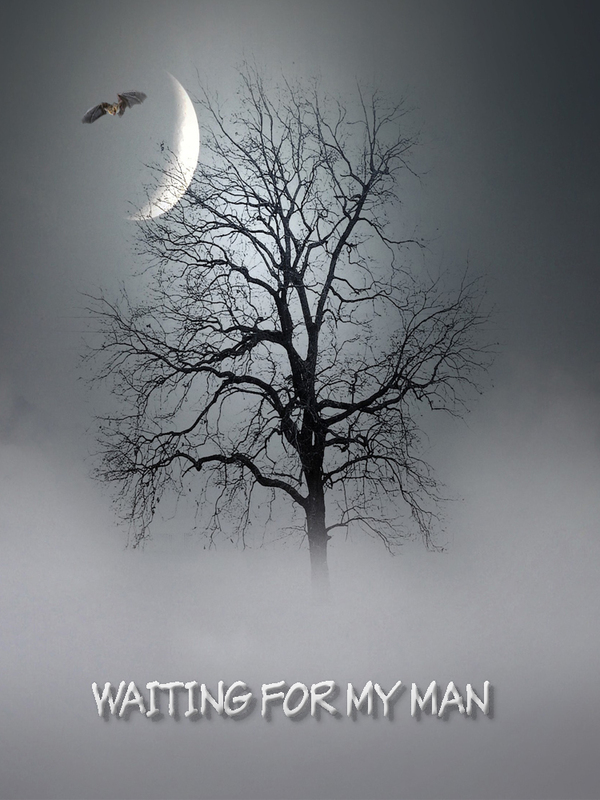 Waiting for him. I do this for a living. I am leaning on the cold limestone wall. Can feel the cold of the brick even through my greatcoat. One of my hands is cosy, that’s all that matters. I run a finger along the cylinder of the revolver. The metal is almost warm. I touch it as I do my women. A light caress. ‘Don’t worry, sugar. Not long now.’ I stroke the spine of the barrel. A soft massage. I will not just shoot; not just kill. When the time comes. I want to see his face when he sees that it is me. I want my man to admit to the wrong that he has done. I want him to feel death come creeping for him through the mist. He can beg; he can plead. I want that. It won’t change a thing. Out here, there is no one who will hear. Quiet dark don’t speak. The revolver’s not registered. There’s no identifier on this weapon. I draw again on the cigarette. I can imagine my face, lit orange in the darkness. The fire glinting in my narrowed eyes. At my command, the glow blinks out. Exhale in a slow, steady stream. I stare though the smoke, the misty circle of light on the corner. Stop. In my pocket, my finger stills. It slows around the trigger. Quarter out of my pocket. Another crunch on the gravel. I take a half-step forward. A mangy fox cub peers through the light. Bright green eyes. I hiss and it lurches through the hedge. Leaving me with the darkness and light. I had blinked not once. The gravel. Looks like littered nuts, burnt in places, in the soft yellow light. Might have seemed like a good idea to lay it; an early warning of trespassers. Didn’t count on this man already waiting beyond. Instead an early giveaway of my man’s arrival. There’s no way that I won’t be prepared. The weapon slips back down in the pocket lining. With a finger I shine the alloy. The mist has begun to billow on light waves. A breeze picking up. I pull up the collar on my coat. Readjust where my hair touches the fabric. The air smells clear. Earth and moisture. The best place for something like this to be done. I thank the mist. The shot will not echo far across the black barren fields. I hear a scream like a baby crying. Mangy foxes. Should’ve brought more shells. Even in the wet air there are more stars than in the city. For most there is less threat too. I start figuring what I will say to my man. Might just listen to him first. See if he starts with denial. Or if he runs straight off the bat. A chase might be fun. Where is there for him to run to? No one has ever got away before. He wouldn’t run far. You don’t treat no woman like that. Even then, he picked the wrong woman. I told her that when first she married him. A man can see things about a man that no woman can. He’s ain’t her man no more. Now he’s my man. They say that blood runs thicker than water. He’d soon see just how thick on those nuts beneath the light. The boy might miss him at first. In time he’d learn that he’s better off. I’ll help him learn that. Will make him grow in to a better man than if he was taught by that snake. The mist might stay at first, but the sun will rise tomorrow. Only not for my man. I’m for many women. Some would say that I’m for any woman. I’ve had my times. But that’s why I chose to never become the boat on dry land. I don’t know the other girl. Maybe there have been more before now. I don’t know. I don’t blame the girl. She just took what she could get. Maybe he gave her promises. Probably he thought there was an easy way out. He didn’t figure on passing me by the way. I was just waiting for the day since the very first. For this day to come. There’s no conjecture or speculation. I’ve seen all that I needed. Letters. I’ve smelled the scent of the woman. Seen them together. I’ve shared sleepless nights with the wronged. I’ll sleep tonight. The gravel path is narrow. The door at the far end. I’ll draw from memory what I see. After. I close my eyes. It’s etched on my mind, beyond my vision. Eight steps to the light. My soft-soled shoes can creep even on these nuts. My eyes equipoised with the dark. That’s why I’ve waited here so long. I know every piece of gravel on the floor and stone in the wall. If this wall could talk it would find a friend in me. If this wall could talk it couldn’t tell me more than I need to know. Maybe more than I want to. I smooth a hand over the cold, rough stone. Find its heartbeat. It’s steady. It’s ready. Forever outside looking out over the fields. Best that way. It’s only seen what it needs. Like me, only what it needs to see. It knows that what’s done is done and that tonight it will be done for good. The stone will warm in the morning. I pull the pack of cigarettes from my pocket. Light another. My other hand still caring for the weapon. ‘Just stay cool now, sugar.’ I see that the light is speckling the leather upper of my shoes. Two winks in the dark. I want my man to see me before I say a word. Like a startled rabbit. I can see it. Terror and knowing. I add it to the picture that I will draw. Maybe in frames. Maybe one with the cub. I hear a car and wonder if the moment might be soon. The engine stops running. But it is too far away. Up the lane. A late night walker, maybe. Not my man. I will know when it is my man. The cold, moist air is making damp my hair and my neck. A trickle of breeze finding entry through a gap in my trousers at the ankle. I pull the collar higher. Readjust my feet. My blood is warm. Even the owls are quiet this night. My attention is drawn up and left. A bat flashes low over my head. Stark against the grey mist and through the slither of moon. I hear its wings fluttering. It passes again. A contrail in the mist. A voice behind me. I spin around. The weapon snags on the lining in my pocket. I see my man. The light is behind me, my shadow half-covering his face. I can see the outline of his smile. ‘Oh, yeah,’ I say. ‘I just popped out for a smoke whilst I was waiting for you.’ I can see him looking me up and down. The misty breeze filters up my shorts. My clothes feel damp. ‘I had to park up the road,’ he says. ‘There weren’t any spaces outside. I thought that I’d come down the footpath, rather than round the front.’ He has his hands in his pockets, still appraising my lounging gear with confusion. It was warm in the house. I had been looking forward to going back inside. ‘Sorry if I startled you,’ he adds. ‘Hmm.’ I wipe my cold nose. ‘Shall we, err, go in?’ I ask him. 'The Reputation of Booya Carthy' is Phillip's debut novel. Paperback and kindle editions available now. All text on this site © Phillip Drown. Please feel free to share any posts, but all items posted on this site remain under the ownership of the author. The author appreciates and encourages comments related to any posts or stories. Any comments deemed to be inappropriate will be removed immediately.